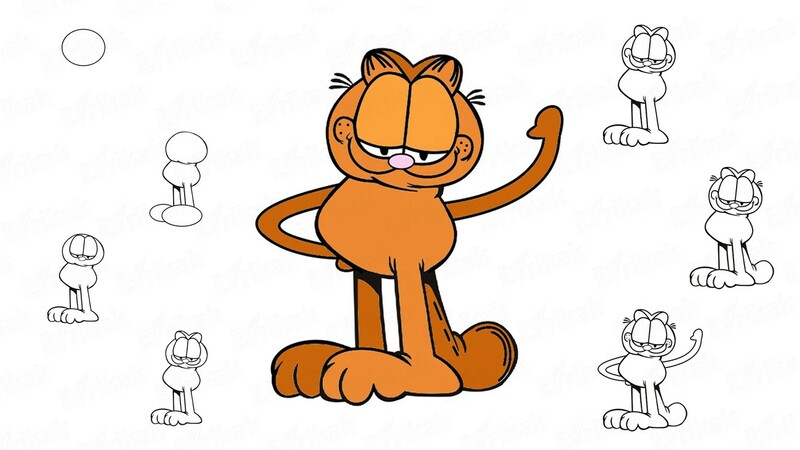 The comedy about Garfield the cat has become very popular after its release. The cat lives with its master whom it likes to make fun of. The animal has friends among dogs, cats and even a mouse. In the cartoon it helped to neutralize the main villain who hated cats and wanted to become famous with his dog. 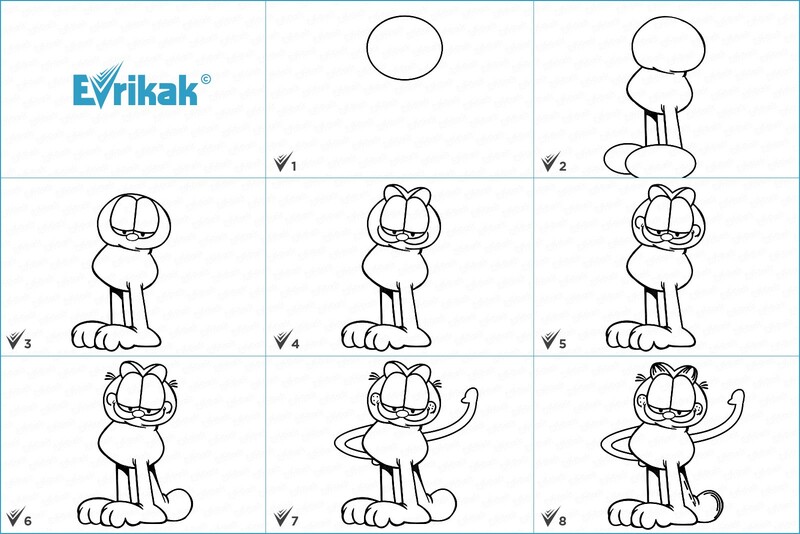 We offer you to draw this cat together with your child. Especially if you have drawn cats using our instructions. 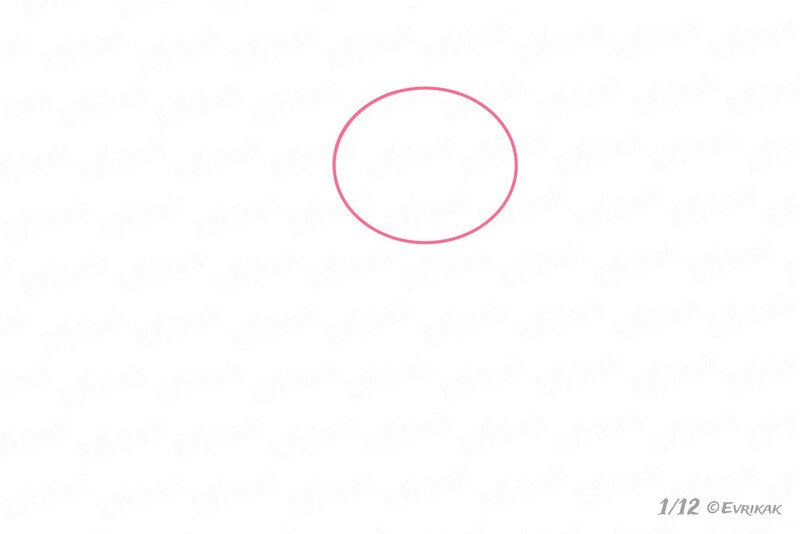 Draw a medium-sized oval in the upper part of the sheet, leaving the space for the body. It’s represented in the form of a smaller oval which is under the head. The cat’s neck can’t be seen. 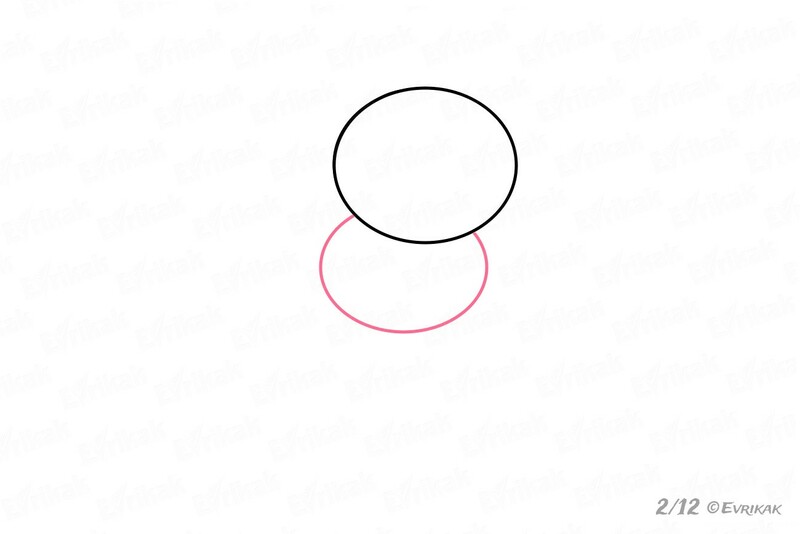 Draw four straight lines which end in ovals down from the body. 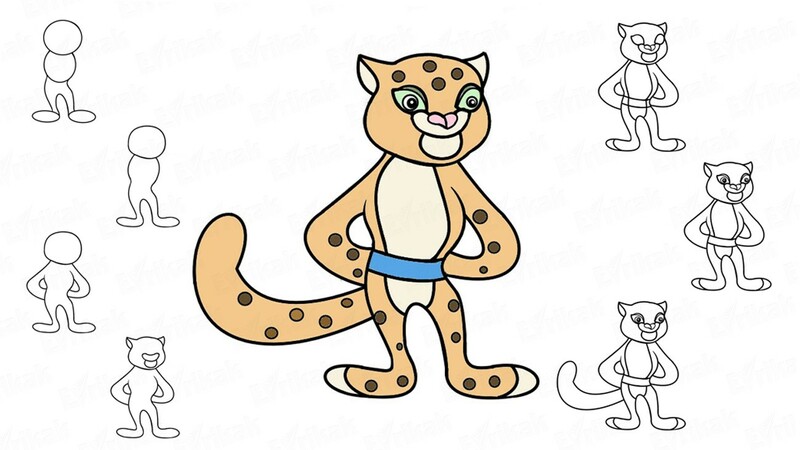 We don’t see the left leg completely, that’s why draw only a part of the oval. 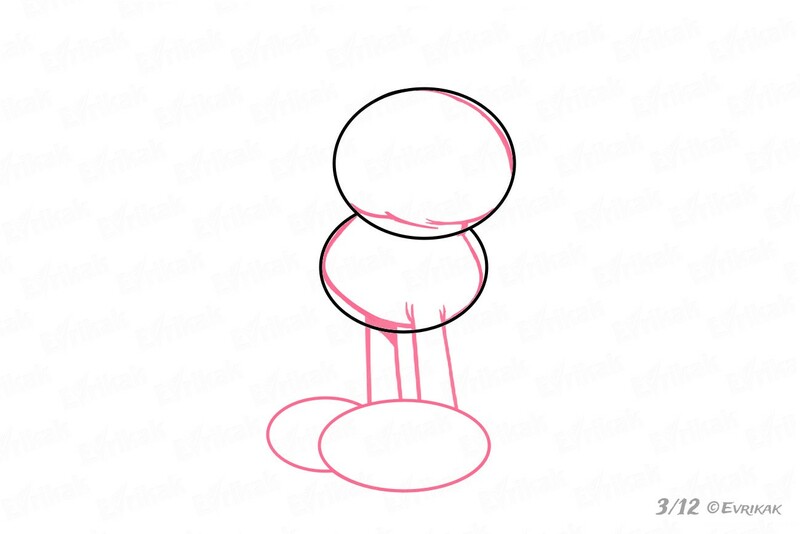 Draw the outlines of the body. They occupy almost the entire head, leave only the space for the mouth at the bottom. The eyes are oval, almost fully closed. The nose is in the middle. 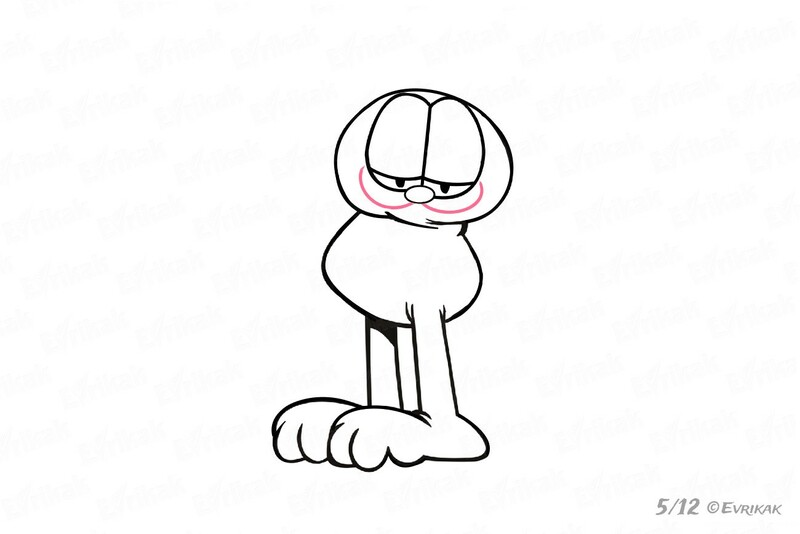 Garfield has a really cat smile – sly and satisfied. It looks like the curved mustache. Draw them over the eyes. 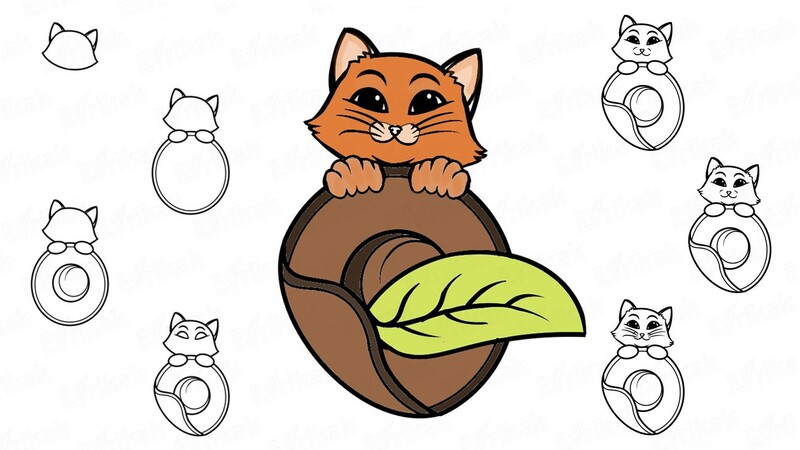 The ears are connected in the center and they are drawn in opposite directions. Draw to the left and to the right from the eyes. Garfield has the cat “radars” not close to the nose but close to the ears. 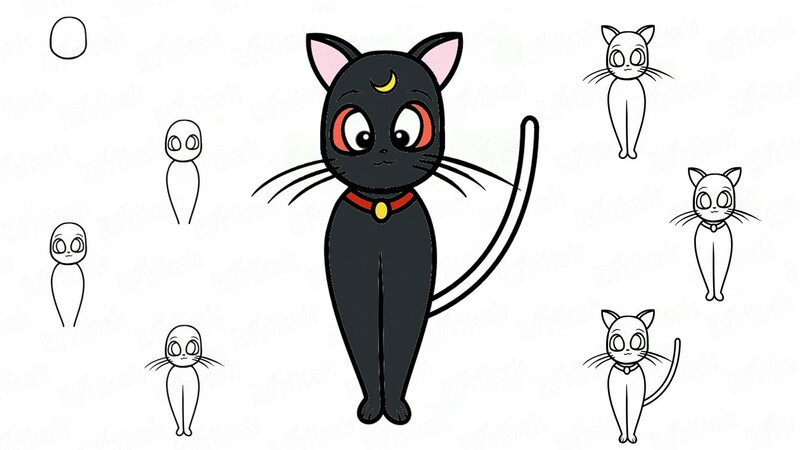 The whiskers are also much shorter than those which has an ordinary cat. It’s massive and fluffy, the tip is slightly curved upward. The tail can’t be seen completely because the part of it is hidden behind the feet. The upper limbs of the character are long and thin, they are smoothly curved. The left hand is hidden behind the back, the right hand is raised up. 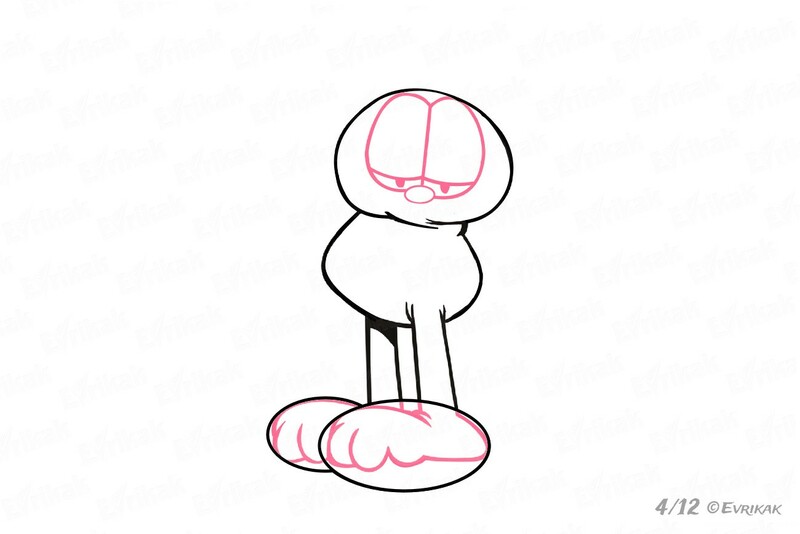 Draw the lines of the ears and tail. Erase unnecessary details. 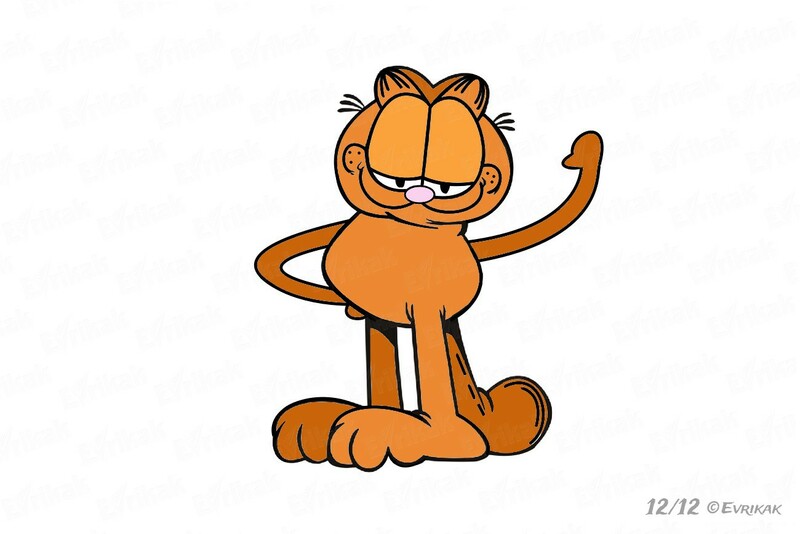 Color Garfield in shades of orange. Don’t forget to add shadows where you need them. 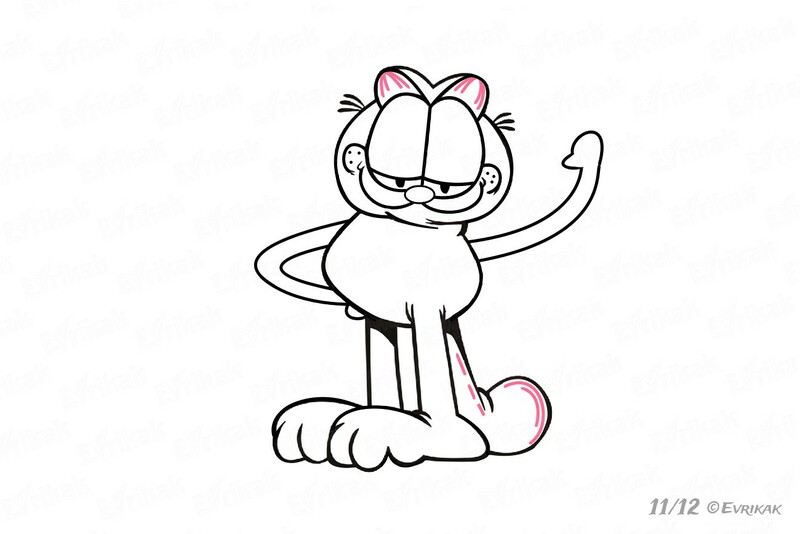 We also offer you to color the ready-made drawing of the cat online.